2. 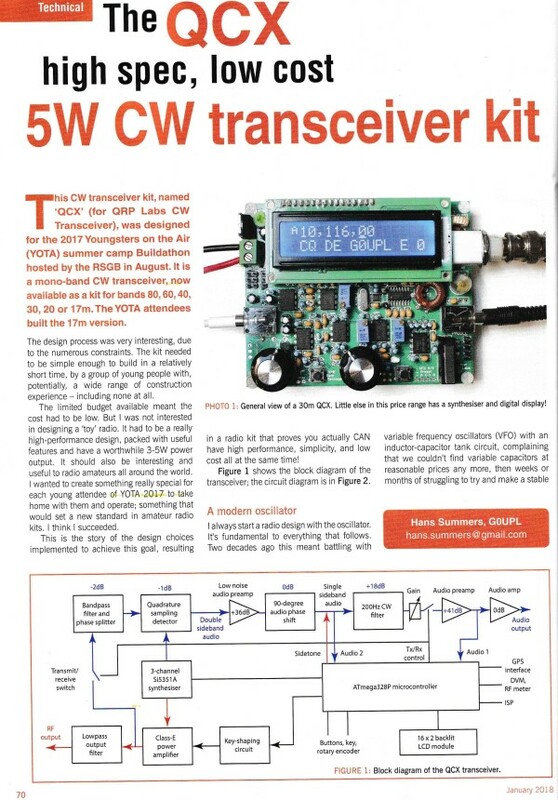 QCX CW transceiver articles in January RadCom and January CQ DL editions! 6. Season's greetings to all QRP Labbers everywhere! 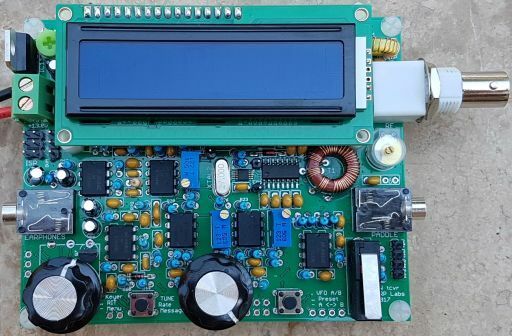 At the time of wiring, the QCX CW transceiver kits on order have reached serial number 2,821. Of these, 2,191 have been shipped already and 630 are pending shipment. The QRP Labs shipment office continues to be some way behind, with this large backlog of orders. But the backlog has been significantly decreased compared to last month. Much of this was due to additional helpers since 1st December. By the end of December they will have shipped 709 orders, significantly reducing the backlog. This is a tactical solution to the backlog and we are working on finding a strategic solution so that we can scale more easily to meet periods of high demand, in future. If you are waiting for a QCX shipment, you can find out which serial number the shipment office will ship next, on the QCX CW transceiver kit page http://qrp-labs.com/qcx.html. All updates about the QCX will be on this page. Currently 40m and 20m LPF components have run out; more supplies are on the way and shipping of orders containing those kits (including QCX orders) should resume in the next week or so. A 4-page technical article about the QCX design by Hans G0UPL appears in the January edition of the RSGB's RadCom monthly journal (right). The January edition of DARC's CQ DL magazine contains a nice review of the QCX by Hajo DL1SDZ. The front cover of CQ DL is a picture of the QRP Labs junior lab technician testing the QCX (20m version)! See far-right. 3. First QCX to QCX QSO,Jerry KI4IO and Donald K3RLL! 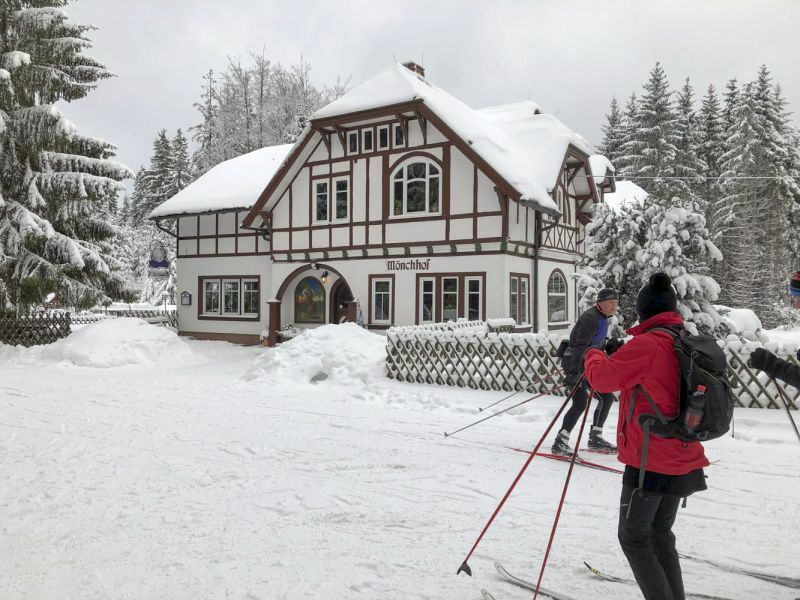 "Amazingly enough, I had never QSO'd anybody that was using a QCX and my 1st QSO after powering mine up was with K3RLL o/a 7040kHz at 0353Z on 17 Dec 2017. Log says "599" both directions (hmmmm). Log notes indicate that QSB killed us after a few go-arounds. "Interesting little radio and maybe one of the best receivers I've ever used. Quiet & sensitive. I was curious what '50dB opposite side-band rejection' sounded like and found one bruising signal that must have been at least 40dB over S9. There was a barely discernible trace of signal on his OSB. I've built one phasing rig (Rick Campbell's IQ Crystal Set) that used the venerable 2Q4 and the OSB rejection of that radio was probably a little North of 30 dB. Hah". Congratulations to Jerry KI4IO and Donald K3RLL! 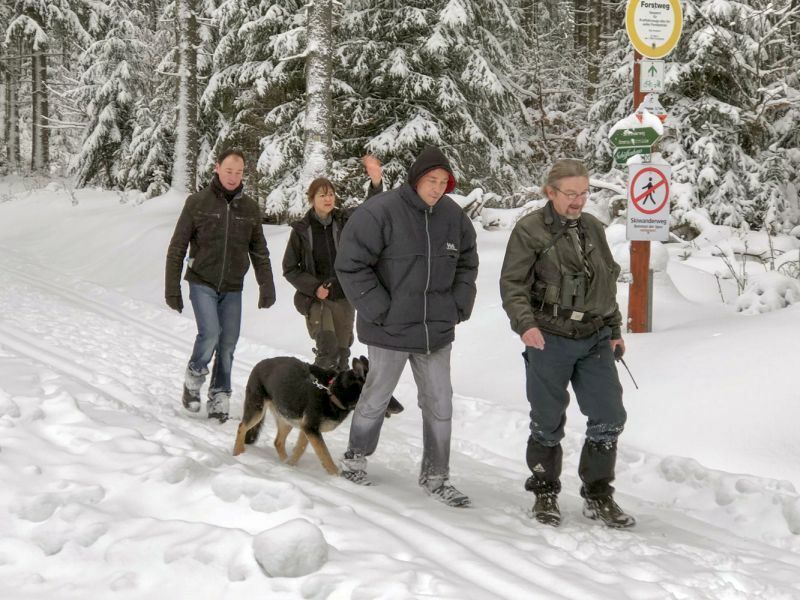 As reported last month, the Canadian C3 expedition is now officially complete. QRP Labs was proud to sponsor the Canadian C3 Coast-to-Coast-to-Coast expedition celebrating Canada's 150th birthday, by providing an Ultimate3S kit and accessories (QLG1 GPS receiver kit, relay switched filter board, 20/30/40m Low Pass Filter kits, and enclosure kit). The radio was installed by a team led by Barrie VE3BSB. Note: the Ultmate3S onboard Polar Prince transmits in Extended WSPR mode (with 6-character Maidenhead locator) 24 hours a day autonomously, on 40, 30 and 20m. QRP Labs provides a tracking solution that populates a live map at http://qrp-labs.com/c3 - Jeff VE3EFF has provided a computer and stable internet connection to run the tracking. 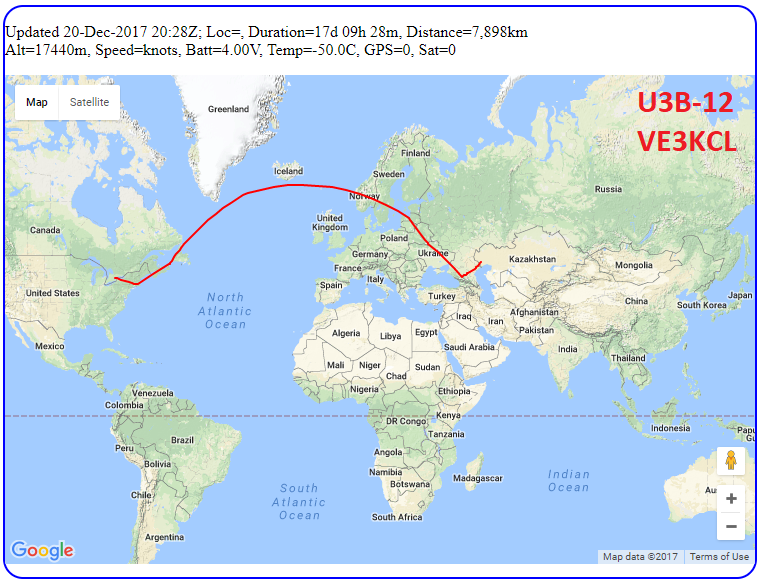 U3B-12: David VE3KCL launched the 12th QRP Labs U3B test flight on 03-Dec-2017. It had a good flight, as far as Kazakhstan; radio coverage in this area is sparse and it is normal to lose contact for a day or two. But this time (as on some previous occasions), U3B-12 never re-appeared. It probably went down in Kazakhstan or China. More details: http://qrp-labs.com/flights/u3b12.html; flight path below, TOP LEFT. 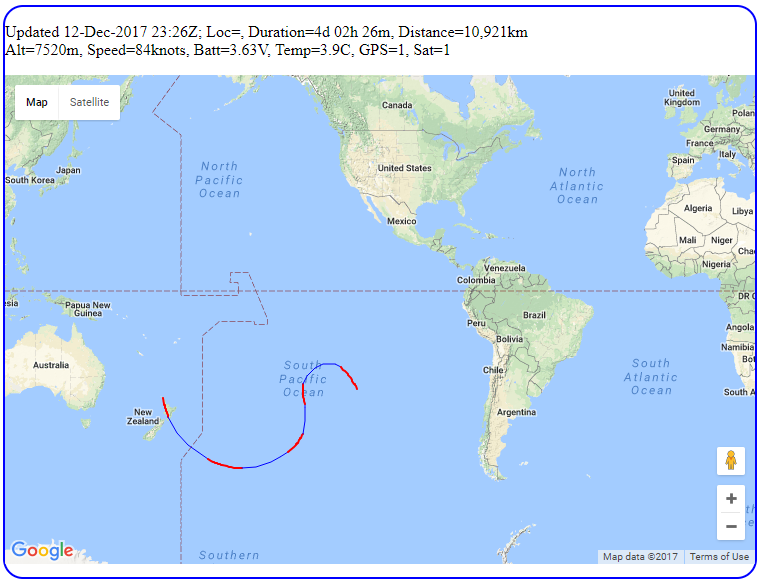 Stella9: Dan DL6OW's Stella9 flight was postponed several times due to bad weather, finally launching on Saturday 16-Dec-2017. This was a Latex balloon, high altitude flight. This style of balloon ascends to a very high altitude, then bursts, and returns to Earth with a parachute to slow it down. It is a different type of flight to the mylar "floater" balloons, which reach a stable altitude and can endure very long duration flights. "The balloon was flown very fast deep into eastern Germany. We traveled behind and the car got smashed on a snowy and icy trail, but no one was injured. We slept in an hunting house. The hunter, a girl was very nice and was going with us to find the balloon in the forest the next morning. Also she organized someone to get the car on the road again. 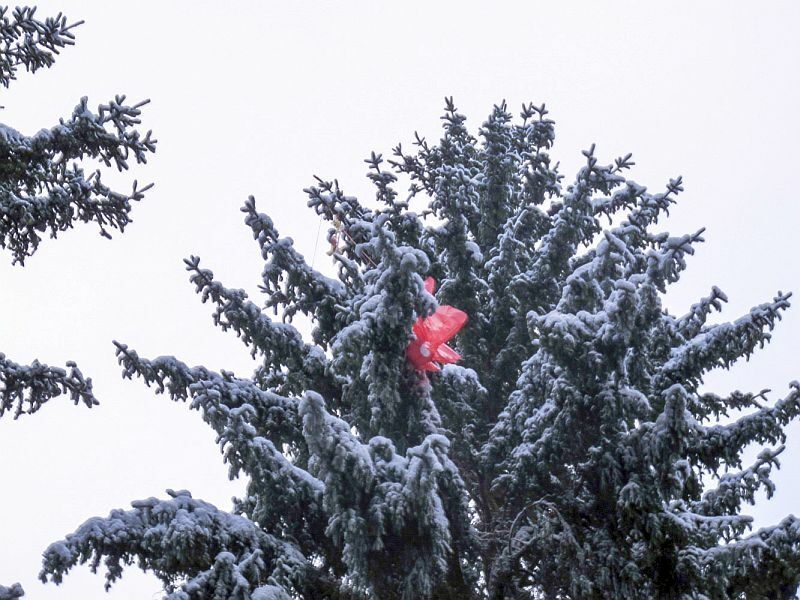 We found the probe hanging at 25m high in a pine tree. Later, we traveled very slowly back home through winter wonderland. Everything is fine now, and the car only has some minor scratches. The girl will go every two or three days to the landing site from now on, to look if the wind will bring the probe down. So we will look positively forward to get the recorded images from the stratosphere. This time an prototype of an APRS ballontracker from Taner Schenker DB1NTO was onboard and it’s still transmitting now". See some photos from Dan's adventure below; more will later be on the Stella9 flight page http://qrp-labs.com/flights/stella9.html. BB01: Bob ZL1RS launched his first balloon flight on 09-Dec-2017. Despite this being Bob's first flight, he is not new to ballooning! Bob has probably one of the nicest listening locations in the world, with a high elevation sloping down to the sea and no close-by neighbours. He has enough space to use low-noise beverage antennas which he can aim (manually by moving the wire) in the direction of interest. Bob has previously tracked Andy VK3YT's flights and also reported spots of Dave VE3KCL's flights, even when on the opposite side of the world with less than 20mW RF! So it's great to see Bob launching balloons now! BB01 uses a modified QRP Labs Ultimate3S firmware version transmitting special WSPR telemetry messages, the same as Dave VE3KCL and Jim N2NXZ's flights. 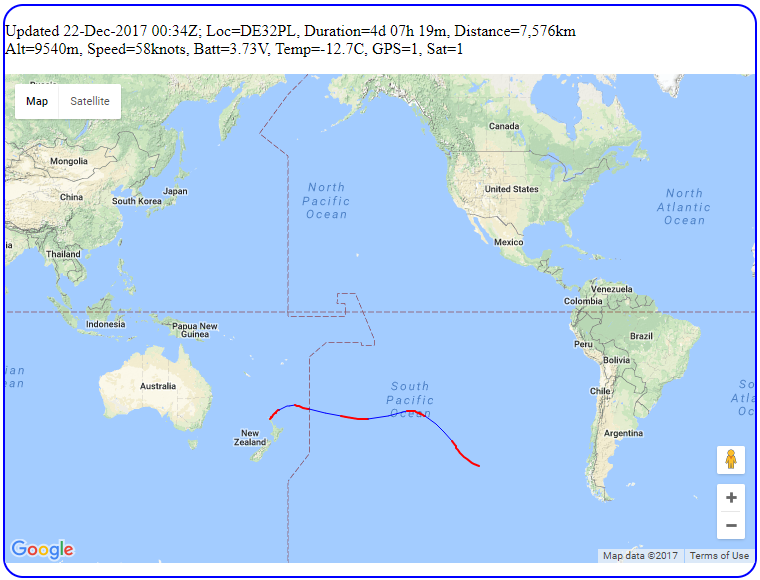 It flew East over the Pacific for 5 days; you can read more information about the flight payload etc. here http://www.qrp-labs.com/flights/bb01.html. A very Merry Christmas and Happy New Year, happy holidays, etc. to all QRP Labbers wherever you are in the world! QRP Labs had a very busy 2017. Thank you all for your support and encouragement. More exciting developments are in the pipeline, so hopefully 2018 will be an interesting and busy year also.